Question Time: What type of car is most prone to crash in an attempt to showoff? All the recent Mustang crash videos have got me thinking.Which car make and model is most prone to accidents due to driver machismo? 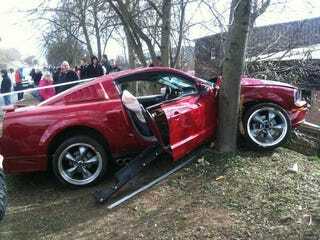 I would say Mustangs are pretty high up as well as , Camaros, Corvettes, Quattroportes, 458s. Which one is the highest however? 3G Eclipses? Riced out Civics?